"A dark story of martyrdom and ultimate triumph, brotherhood and dignity in the face of total oppression." The Samuel-226 PatriotRangers are one of the most successful units in the Holy Legion of the UNAC. They have never lost a man, until one of their brothers, Twofer, disappears during a training exercise. The Host, self-proclaimed reincarnations of Christ, tell them that Twofer has been Saved and taken to Yetzirah, the promised land of the Nephilim. This, like many things the Host tells its slaves, is a lie. The leader of Samuel-226, Alpha, becomes obsessed with finding his missing soldier. Without his leadership, the medic, Mike, fights to hold the squad together as it is wracked by conspiracy and fear. As the horrific truth unfolds, the squad begins to question everything they know... but as Mike soon learns, even knowing the truth is a revolutionary act, and even if it remains unspoken, God is always listening. LILIUM - God Has Heard has not been reviewed yet. 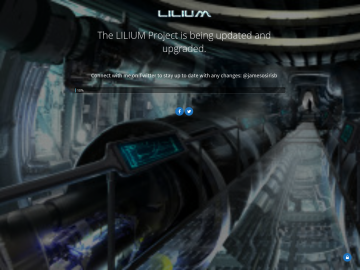 LILIUM - God Has Heard has not been recommended yet.